I liked all the girl’s outfits for their first day back at school. Too bad Hanna was the only one to show up. My favorite look was Emily’s jumpsuit from this week’s episode. Here are some of my other favorite looks from this week’s episode. 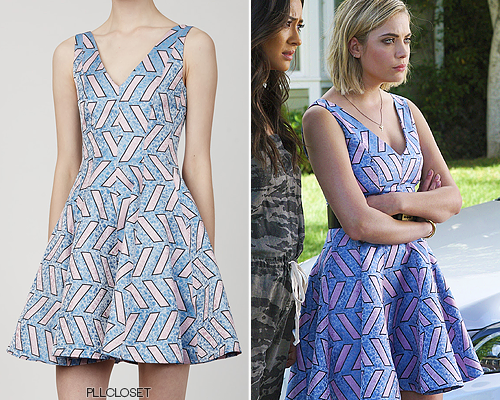 I love this fit and flare dress for Hanna. The soft colors and fun shapes definitely fit with Hanna’s style. Her waist was also accentuated with a black belt and strappy shoes. 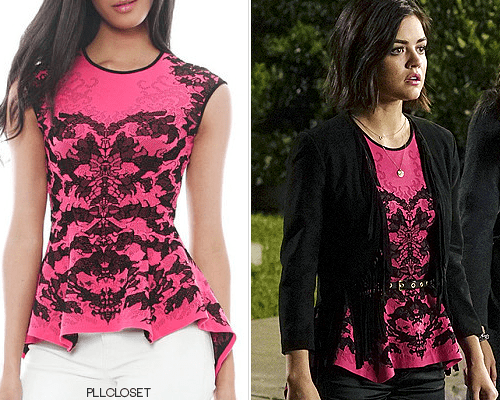 I loved this peplum top for Aria. The colors are definitely Aria’s style. The lace detail is also interesting along with the edgy belt Aria paired with the top to balance out the softness from the pink and the lace. Emily’s wearing a jumpsuit. Of course, it’s camo and comfy. I like how fun this jumpsuit is. It’s casual enough to lounge around in, but it still makes a bold statement. I want this camo jumpsuit too. 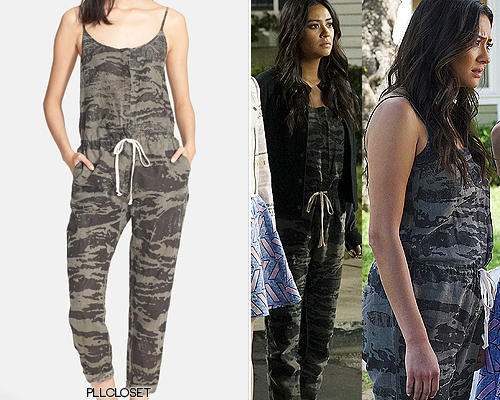 Check out the PLL Closet on Tumblr for all updated fashions. « The Bachelorette Review and Fashion: Mariachi Me?